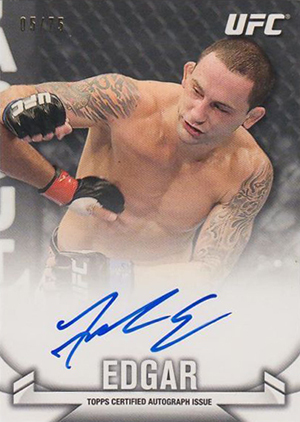 2013 Topps UFC Knockout arrived with plenty of high-end power. 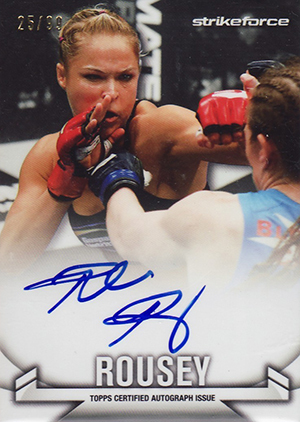 While the low-numbered autographed relics are getting some of the biggest prices, collectors shouldn't overlook the base autograph set. 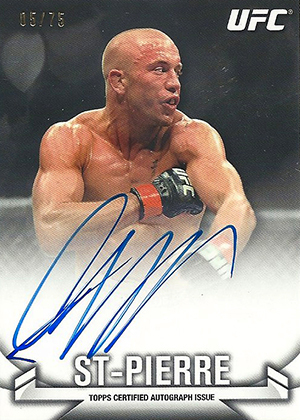 The 50-card set includes some of the biggest names in UFC including Ronda Rousey and Georges St-Pierre. 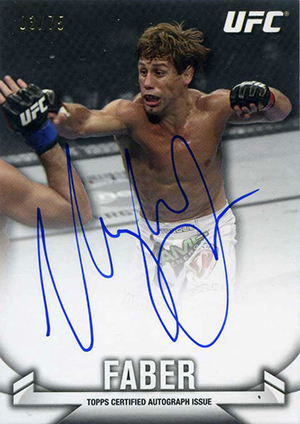 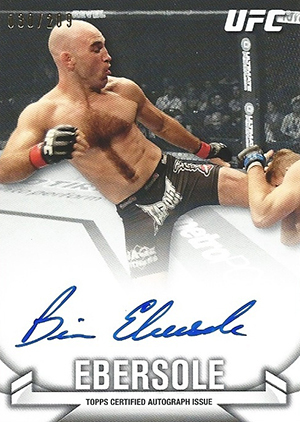 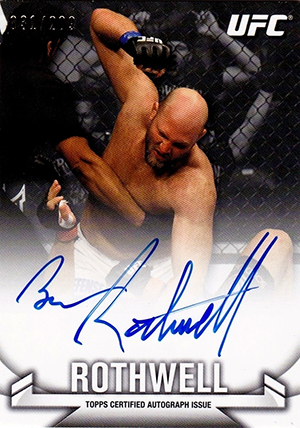 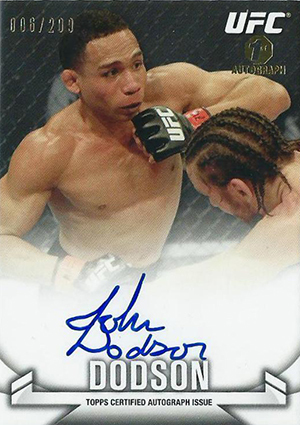 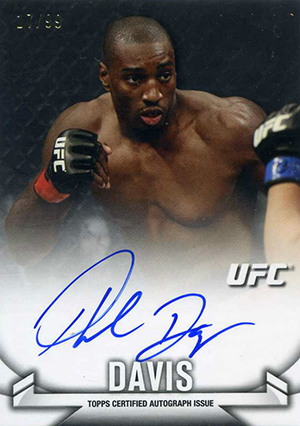 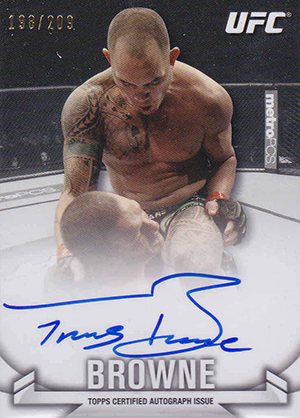 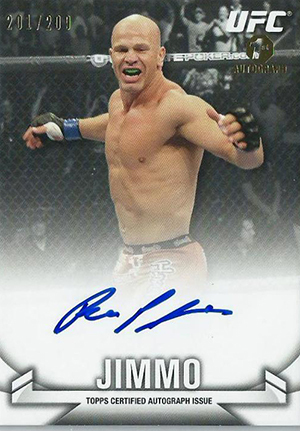 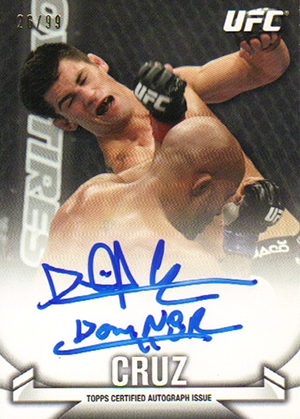 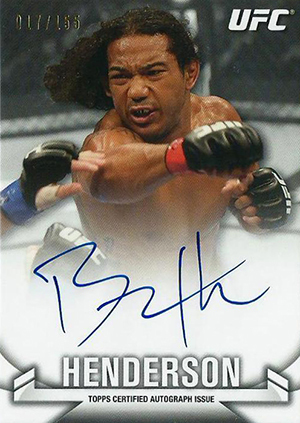 Unlike some of the more high-end parts of 2013 UFC Knockout, all of the base autographs come with on-card signatures. 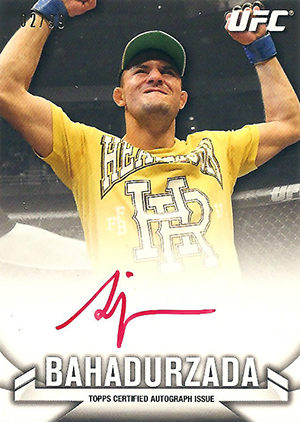 Many of the signed relics use stickers. 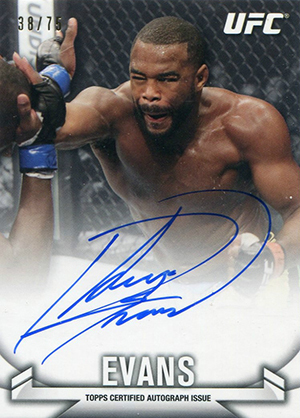 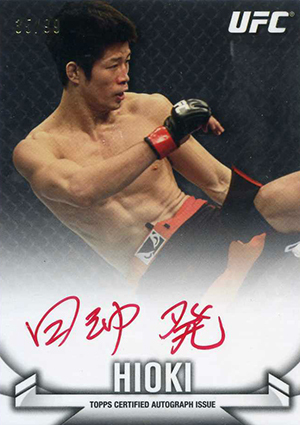 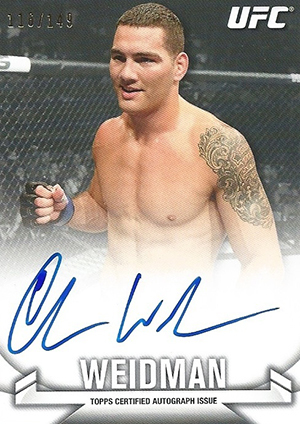 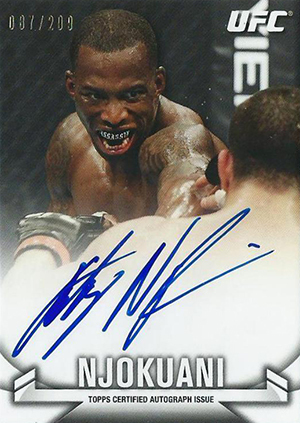 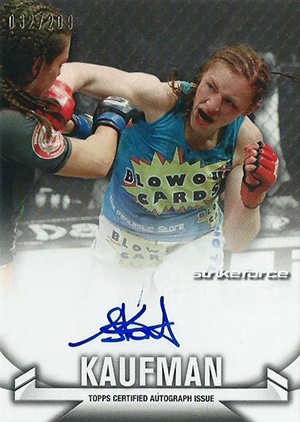 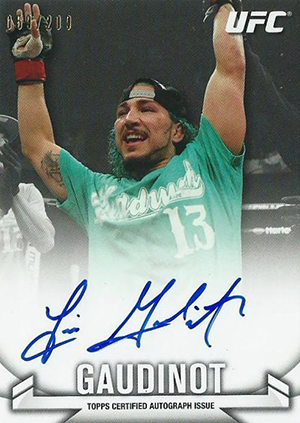 All of the 2013 Topps UFC Knockout Autographs are serial numbered, though to varying amounts. 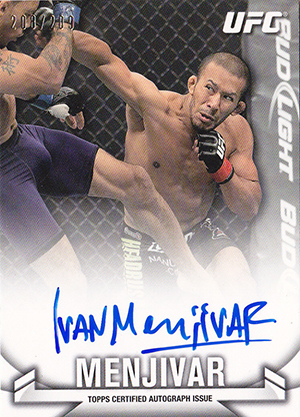 The most plentiful cards have 209 copies. 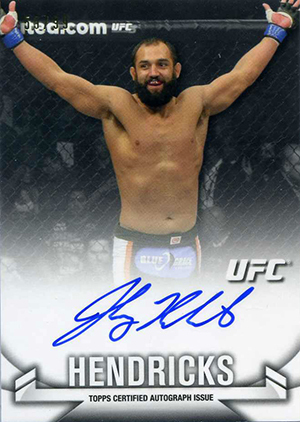 This drops to a low of 75. 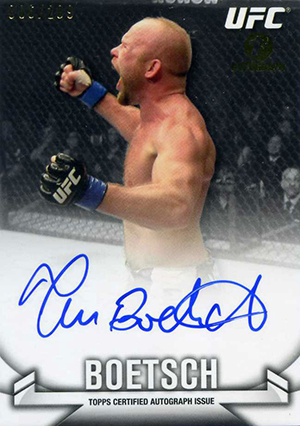 Besides base versions, there are also some parallels. 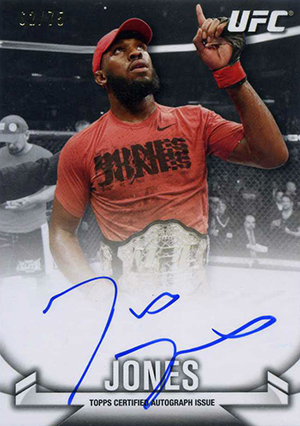 The most interesting are the Red Ink Nickname versions. 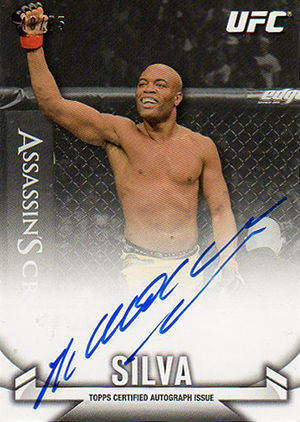 Numbered to 15, these are inscribed with their alternate monicker or simply signed as such. 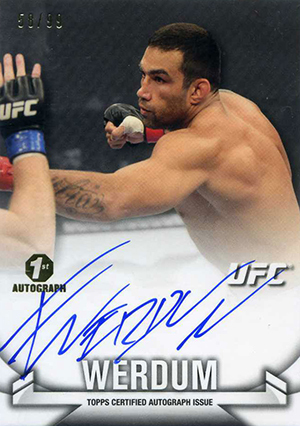 Below is a full gallery of all live autographs (redemption excluded). 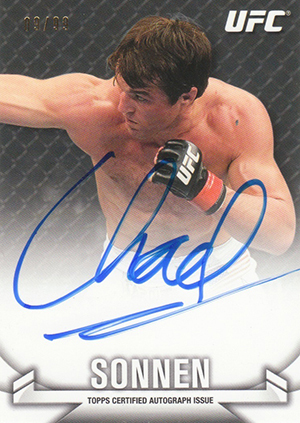 Below that is a full checklist that notes print runs and which cards are redemptions. 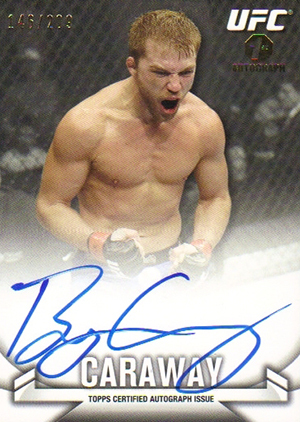 Redemptions are not included in the gallery. 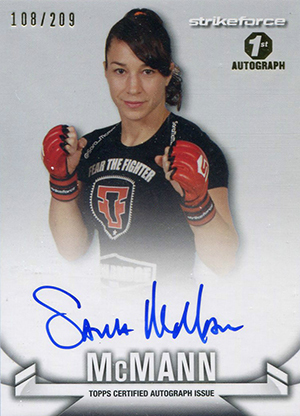 Click on the thumbnail for a larger view. 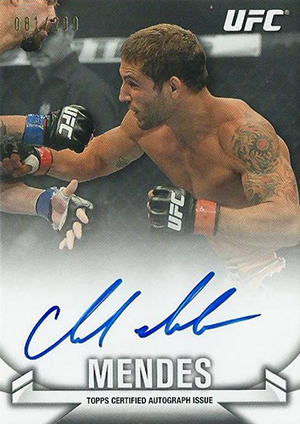 Please note that print runs for redemptions were not available. 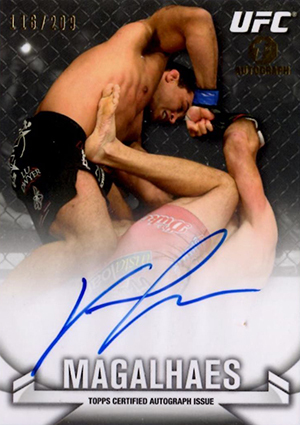 Click on fighter names to shop for singles on eBay. 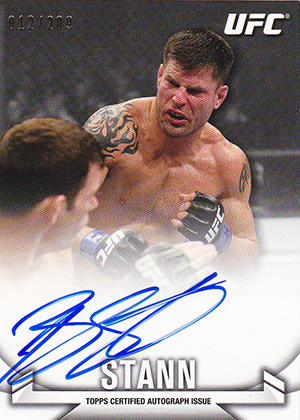 Topps 2013 UFC Knockout First Auto Card Alexander Gustafsson 209! 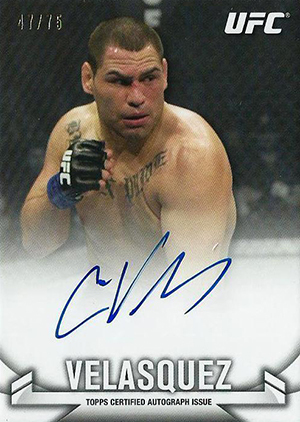 I love UFC knockout! 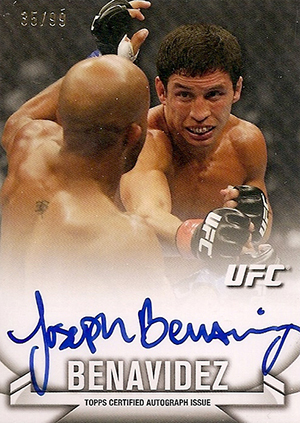 It is always my favorite Topps UFC product every year. 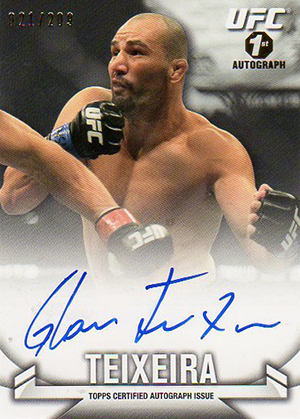 The on-card autos are nice and they did a great job on the Triple Threads this year.